Glossary of Pot Terms - Cannabis City - Seattle's Original Pot Shop & the Friendliest Budtenders in Town! The flowers of a cannabis plant are similar to the flowers of most other plants. They are the reproductive part of the female plant. The Cannabis flower is usually covered in a crystal like substance, they are sticky to the touch and have a fine hairy texture to them. When they are fertilized by the male plant they produce cannabis seeds. If they are not fertilized they continue to produce resin which contains cannabinoid properties such as THC. Indica: Indica plants originated in the Middle East and Asia. Compared to Sativa, the Indica plant is smaller and bushier with a more compact looking flower. Indica strains have a more relaxing effect when ingested producing a sedative type feeling. Sativa: Sativa plants are commonly found outside the Middle East and Asia in such areas as Thailand, the Caribbean, Africa and South America. These plants grow taller and lighter in color than the Indica plants. They tend to take longer to flower. When ingested Sativa has a more cerebral effect. Hybrid: A hybrid plant is a genetic crossed plant from one or more different strains of cannabis. Hybrids are usually grown specifically to produce certain desired qualities. But hybrids can grow unintentionally on their own. Hybrids are the most common form of marijuana in the marketplace. BHO: BHO stands for butane hash oil and is a potent concentrate of cannabinoids made by dissolving marijuana in its plant form in a solvent (usually butane). The resulting product has very high THC levels (generally more than flowers or hashish) and is a thick, sticky oil. BHO is also referred to as honey oil, “dabs” or “dabbing,” earwax, or shatter, depending on the manufacturing method. CO2 Oil: A cannabis concentrate, made from the Supercritical CO2 extraction process. Supercritical CO2 is a fluid state of carbon dioxide held at or above the critical point of temperature and pressure, which can be used as a solvent in the cannabis extraction process. Dab: A dab is a slang term used to refer to a dose of cannabis concentrates “dabbed” onto a redhot surface and inhaled. The act of “dabbing” refers to partaking in dabs. Hash: Short for hashish, which is derived from cannabis plants. Hash is a solvent-less cannabis extract. 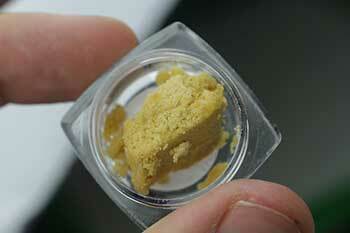 Hash can be made using a couple different processes including a dry sift, dry ice sift or even the ice water method. All of these forms of extraction have the same idea in mind–break off the trichomes with as little to no plant material and either press it into a brick (usually with the sift methods) or dry and then crumble/press the final product (wet method). Wax: Wax gets its names from the ways it is prepared and the way it looks. The substance looks like a thick, oily substance or a little like honey. Butane is used in the process of making it (not such a kitchen friendly process) which is why it is otherwise known as BHO. Shatter: Shatter, wax, honeycomb, oil, crumble, sap, budder, pull-and-snap…these are some of the nicknames cannabis extracts have earned through their popularity, prevalence, and diversification. If you’ve heard any of those words before, they were likely used to describe BHO (butane hash oil), CO2 oil, or similar hydrocarbon extracts. Tincture: A tincture is a liquid cannabis extract usually made with alcohol or glycerol that is often dosed with a dropper. Tinctures can be flavored and are usually placed under the tongue, where they are absorbed quickly. Effects can be felt within minutes. Tinctures can also be mixed into a drink, but in these cases effects will take longer because the tinctures will be absorbed by the digestive system. A topical is a type of cannabis product where the active properties of the flowers have been extracted and added to a product such as a lotion or a cream that’s applied to the skin. Paraphernalia most commonly refers to a group of apparatus, equipment, or furnishing used for a particular activity. In this case ingesting Marijuana. One Hitter: A one hitter is also known as a chillum. These are simple straight glass, metal or even silicone pipes that fit a small amount of bud to smoke; giving it’s nickname One Hitter. Bong: A large pipe, usually made of glass, that uses water to diffuse and cool the smoke as you breathe it into your lungs. Bubbler: A handheld pipe, usually made of glass, with a water reservoir at the bottom to cool and diffuse the smoke before it is inhaled. Aroma is a term used to describe the general smell and/or taste of a certain plant or flower. Because consumers’ individual definition of aromas (such as “earthy,” skunky,” or “citrus“) can differ somewhat, aroma descriptions are meant as a basic guideline. OG is a term that’s now used to describe many strains, the term stands for “Original Gangster” or “Ocean Grown” depending on which part of California it’s from and quickly shortened to OG Kush. OG Kush grew quickly in fame and reputation. Most OGs are different variations of the original OG Kush genetics or are also ocean grown on the West Coast. THC is an abbreviation for tetrahydrocannabinol. It is the most well-known and most abundantly available cannabinoid in marijuana plants. THC is also the component in marijuana that is responsible for the psychoactive effects, or the “high.” Also known as delta-9-tetracannabinol, it was first isolated in 1964 and is thought to serve as a natural defense for the plant against pests. 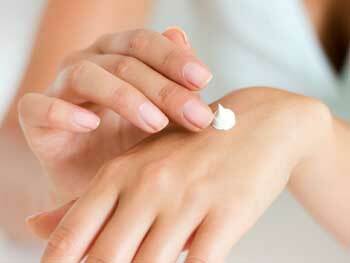 There is no lethal dose of the compound in its natural form. Glossasry terms provided by Leafly.